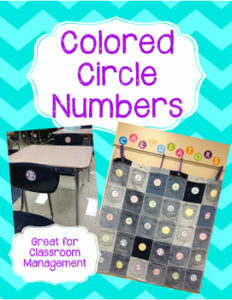 These colored number circles and letters are helpful in classroom management. I use them to number my desks and classroom materials. It is a helpful tool so students always know which number they have. The uses are endless! Included are letters A – Z and numbers 1 – 30 in five vibrant and fun colors! Enjoy!